Created by a woman who found little support after losing a baby, this app aims to support anyone following the loss of a baby at any gestation. The app is divided into nine sections, with plenty of signposting to further reading and links to counselling, forums and professional services. As the app is aimed at bereaved parents looking for advice on how to cope after the loss of a baby, or family members or friends seeking advice, it is tailored more towards them. Sections include links to personal stories, information on pregnancy after a loss, and the HUG forum, featuring discussion and information. As a result, this app will not be as useful to nurses and midwives. However, they can direct patients to it for support after they leave hospital. 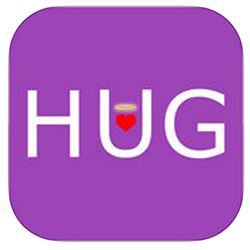 Due to concerns among many parents about negative experiences at hospitals following bereavement, the app creators are in talks to get ‘HUG-endorsed nurses’ on wards and to identify them as bereavement trained.